ABA'ers, have you been naughty or nice this year? More importantly, have your children? Well it is time for them to give Santa Claus a call to let him know, since we already know, they have been nice. Santa is waiting on their call to hear what they would like him to bring them on Christmas Eve. Ole St. Nick is getting ready to make his rounds. 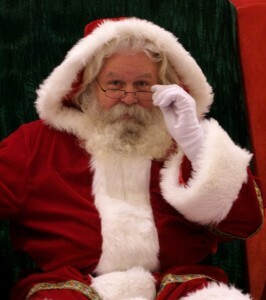 He's checking his list, so be sure your child's name is on it.